including the donation of a community outreach vehicle, participating in staff beach clean-ups, sponsoring recovering sea lion patients at the hospital, and more. The Kia Soul will be used to support the organization's mission of marine mammal rehabilitation and education. "We are pleased that Kia has taken an interest in our cause, and sets a great example to other corporations about community philanthropy," said Keith Matassa, Executive Director, PMMC. "We look forward to working together to bring awareness to the public about environmental conservation and consideration to benefit our planet." Michael Sprague, Executive Vice-President, Marketing & Communications, KMA added, "Kia understands that a conscious dedication to environmental education and sustainability is crucial to the communities we call home and the world at large. 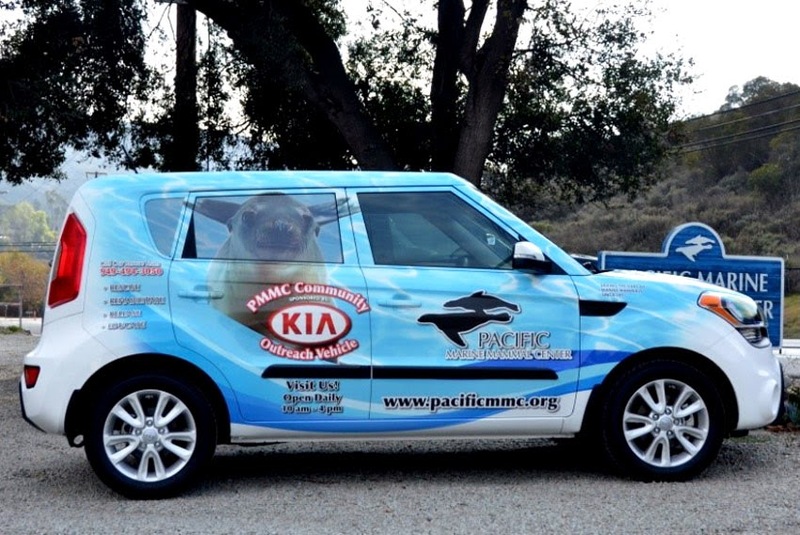 Since its founding, The Pacific Marine Mammal Center has grown to be a widely recognized leader in marine mammal rehabilitation science and as the Center continues to expand its reach, it is the perfect partner with which Kia can pursue its vision for a greener future."